The highly popular online gambling software developer has come up with the sequel to one of its best slots. The Avalon II: The Quest For The Grail is going to be launched at ICE Totally Gaming in 2014 and it promises to have just the same success as the original game does. Microgaming has been in the market for over fifteen years now. It was the first company to create true online casino software and it keeps its positions by implementing more and more innovative solutions. It is known for being highly reliable too. With the list of games that includes over 600 titles it has literarily no competitors that would be an equal match. 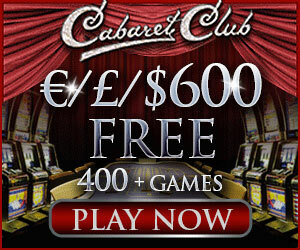 Both the players and casino providers like Microgaming products and value their superb gameplays combined with reliability and great bonus offers. And of course the players have their favorites too. It would not be a mistake to say that Avalon was a hit and gained loyalty of many right after it was released. And the new Avalon II has all it takes to repeat this success. The game is a 5 reel slot with 243 ways to win where the gamblers would need to fulfill the quest of retrieving the Grail. They will of course get help from the Merlin, Morgan, Guinevere and the King Arthur himself, so the quest promises to be extremely entertaining. On their journey through the Kingdom the players would pass 8 bonus rounds with superb prizes. And within the Grail Bonus the players would be able to reforge Excalibur and spin the Wheel of Fortune in order to defeat the Black Knight. Once this is done the Grail would be revealed together with all the bonus money!